Shortly after Sgt Mehmet Ciplak picked up the toddler, snapshots from the moment – one that he’ll never forget – bombarded the world. The powerful photographs prompted a furious outcry. The boy was just a toddler. His family were searching for peace after their country had been torn apart. Their European future, awfully close, would never be. Through the politics, and the opinions, and the protestations, and the answer-searching melee that consumed the online-world, the reality of the situation pierced through it all. The little boy had died and it was a tragedy. Sadly it is a tragedy all too common but too little observed by those of us far from the epicentre of this horror. But on that day we took note. That son could have easily been our own. The innocence of youth shouted louder than our grown-up arguments. We were moved; we were shamed. The episode was deeply emotional. Too emotional, perhaps, if that were possible. Accompanying the images, in suit, were the comments and the opinions. The deep and traumatic feelings we experienced at first were later replaced by a haunting suspicion that maybe we had missed something before. Mediterranean deaths aren’t new. Families looking for their future across the sea aren’t new. This tragedy wasn’t original. We pause to process and our reason catches up to our emotion, like the shy child at primary school who is finally heard after the kid on too much sugar crashes. We reason that our emotion is getting the better of us and we ought to bring everything in to balance. We should consider the wider problem etc. We won’t be hijacked by our emotions, we muse. But the picture of the boy on the beach doesn’t go away. Artists memorialise him and ensure that he is not forgotten. The little boy died and that is tragic. It is tragic because he was valuable. He was valuable to his family – to his brother, and his parents. He was valuable to his wider community; he may have even been a part of the rebuilding of his country one day. He was valuable to his never-met host country that would have played home to him for a while. But his value was so much more than that. This little boy was valuable because he was a little boy; he was a human being. We may reflect our value as humans by the way we love, the way we work, the way we help others, but our intrinsic value is not in what we do but in our very being. When tragedy strikes a fellow human, something inside of us breaks for them because deep down we realise the wrongness of the marring of something so dear. It was right and appropriate for the watching world to catch its breath and experience a sliver of the pain of this boy’s life. It was right to be shocked and to be shamed. One of our own had died. Our emotional responses to pictures of suffering point us to the felt reality of our inherent value. Our reason then asks questions of this. How and why are we valuable? What determines our dignity? It seems to me that we have three options here: we can say that human beings aren’t valuable (pessimistic and dangerous); or human beings are valuable because we say so (wishful thinking); or human beings are valuable because they have been ascribed value (unconditional). History will tell us that the first option has been tried often, and suppressed entire nations. The second option is where most of us are probably at now (often a position taken because we don’t like the former). But the third option – commonly rejected out of hand – is truly interesting. If our experiences in this world point to a value that we can’t properly define, shouldn’t our search for meaning ought to look to loftier realms? If the clues lead us to investigate an area that we don’t want to go, shouldn’t we rethink our underlying assumptions and motives? Europe – by and large – doesn’t do God. But the outpouring of grief over this tragic loss suggests that deep down it perhaps so desperately wants to. 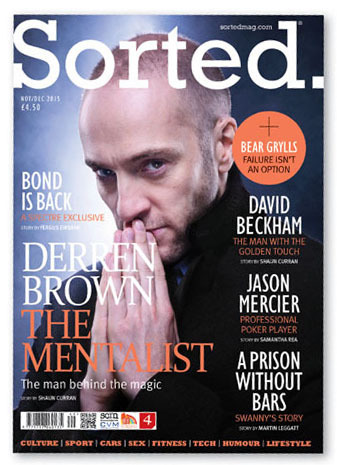 This article first appeared in the November/December 2015 edition of Sorted Magazine.